Amb. 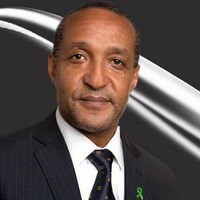 Macharia Kamau is the Principal Secretary for Foreign Affairs of Kenya. 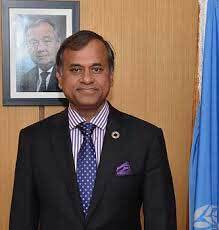 Siddharth Chatterjee is the UN Resident Coordinator and UNDP Resident Representative in Kenya. NAIROBI, Kenya, May 29 2018 (IPS) - In April 2018, Commonwealth leaders met in a retreat at a royal residence in the English county of Berkshire and agreed on strategies to deepen trade in their 53-member organisation, improve security, tackle climate change, and work together for the betterment of the lives of the people of the Commonwealth. During the Commonwealth Summit, Kenya received support for its plan to host a High Level Sustainable Blue Economy Conference scheduled to take place from 26-28th November 2018 in Nairobi. Under the theme Blue Economy and the 2030 Agenda for Sustainable Development, the conference presents an opportune moment for advancing global conversation on both the productive and sustainable side of the blue economy.The conference will lay the case for a sustainable exploitation of the oceans, seas, rivers and lakes for the economic empowerment of all communities. Canada stepped forward as a co-host during bilateral talks between President Uhuru Kenyatta and Canadian Prime Minister Justin Trudeau at Lancaster House, London, on the margins of the Commonwealth Heads of Government (CHOGM) meeting. “Our meeting gives us an opportunity to speak about the great relationship between Kenya and Canada. Canada is pleased with the excellent conference on the blue economy you are hosting and is ready to partner with you,” said Prime Minister Justin Trudeau. Africa’s economies have continued to post remarkable growth rates, largely driven by the richness of its land-based natural resources. Yet even though 38 of the continent’s 54 states are coastal and 90% of its trade is sea-borne, Africa’s blue potential remains largely untapped. The African Great Lakes constitute the largest proportion of surface freshwater in the world and it is easy to see why the African Union refers to the Blue Economy as the “New Frontier of African Renaissance”. The potential of the blue economy in Africa is largely unexploited due to uneven focus on land as the most important factor of production. While Africa is endowed with large water bodies, the communities living in close proximity to such lakes, seas and oceans in the continent are among the poorest in the region. The realization of the limitations presented by land as a factor of production in the continent, especially in view of climate change, has necessitated governments and other stakeholders to focus on the immense potential for growth presented by the water resources. A good illustration of Africa’s maritime resources potential is the island nation of Mauritius, one of the smallest countries in the world, which has territorial waters the size of South Africa but has one of the strongest blue economies in Africa, ranking 3rd in per capita income in 2015. Ironically, the narrative on the continent’s maritime space has for long veered towards the bad news on illegal harvesting, degradation, depletion and maritime insecurity. This narrative is changing gradually, with recent initiatives indicating that countries are looking at full exploitation and management of Africa’s Blue Economy as a potential source of wealth for the continent’s growing population. With forecasts placing the value of maritime-related activities at 2.5 trillion euros per year by 2020, the continent’s hidden treasure could catapult its fortunes. Kenya is one of several African countries that are formulating strategies to mainstream the Blue Economy in national development plans. Broadly the sub-sectors of the blue economy in Kenya include fisheries & aquaculture, maritime transport & logistics services, extractive industries which include offshore mining of gas & oil, titanium, rare earth (niobium), and culture, tourism and leisure & lifestyle. 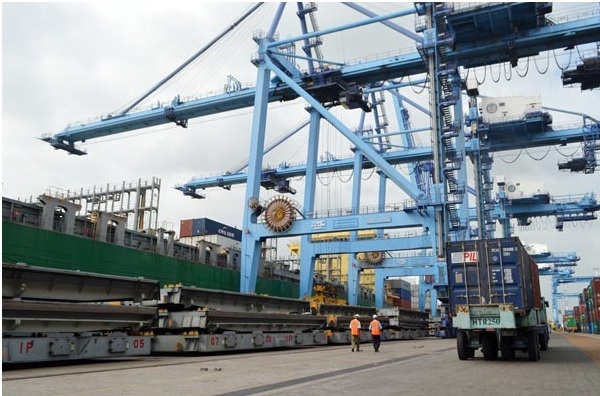 In the past the country has largely focused on fisheries both for domestic and export markets – a sector that accounts for only about 0.5 per cent of GDP – yet Kenya has a maritime territory of 230,000 square kilometres and 200 nautical miles offshore. The groundwork for regulatory and policy changes has started, with the Fisheries Management and Development Act 2016 and establishment of the Blue Economy Implementation Committee indicating the government’s intention to utilize its marine resources for economic growth while conserving the same for future generations. The government ban on single use plastic bags is another demonstration of commitment to ensuring plastic waste does not continue to threaten the environment, including marine life. There has also been a move to protect the coral reef, home to one of the world’s most diverse marine eco-systems. As Africa enjoins itself to the a paradigm shift to the blue economy, and looks for pathways towards being at the centre of global trade based on the Blue Economy, rather than just the supplier of unprocessed raw materials, among the greatest hurdles will be responsible management, so that the wealth generation is inclusive and ecologically sound. To achieve this, countries must importantly work on current conflicts that are driven by lack of demarcation of maritime and aquatic boundaries.This has been a constant source of tensions between neighbouring countries, not only threating any long-term investment considerations, but also leading to irresponsible use of resources. In line with SDG 14, development of this sector must also promote social inclusion while ensuring environmental sustainability. In this respect, the continent owes special consideration to people living along the shores of oceans, lakes and rivers, essentially youth and women. The question of how this“new frontier” can address poverty reduction and hunger when leaving no one behind must be a central consideration. Sadly,Global citizens have already demonstrated considerable recklessness in managing land-based resources. The relatively untouched frontier of Blue Economy must be handled with the highest environmental stewardship and social responsibility. We therefore invite the world to Nairobi on 26th to 28th November 2018, to participate in a global conversation and showcase technology and innovation on the most appropriate strategies for productive, sustainable and inclusive use ofthe numerous resources in the seas, oceans, rivers and lakes. Beware all third world nations – it looks like the international Money Power has its eye on your water resources. The sneaking takeover. Didn’t they do this in Peru? Say no and don’t go. Its a trap.